I got my hands on pgRouting in the last post and I’m about to do the same with GRASS GIS in this one. GRASS GIS stores the topology for the native vector format by default, which makes it easy to use for the network analysis. All the commands associated with the network analysis can be found in the v.net family. The ones I’m going to discuss in this post are v.net itself, v.net.path, .v.net.alloc and v.net.iso, respectively. I’m going to use the roads data from the previous post together with some random points used as catchment areas centers. I got six different points and the pretty dense road network. Note none of the points is connected to the existing network. Note I’m using the 500m as the max distance in which to connect the points to the network. Once the network is routable, it is easy to find the shortest path between points number 1 and 4 and store it in the new map. The algorithm doesn’t take bridges, tunnels and oneways into account, it’s capable of doing so though. v.net.alloc module takes the given centers and distributes the network so each of its parts belongs to exactly one center - the nearest one (speaking the distance, time units, …). v.net.iso splits net by cost isolines. Again, the costs might be specified as lengths, time units, …. Two different ways lead to the actual catchment area creation. 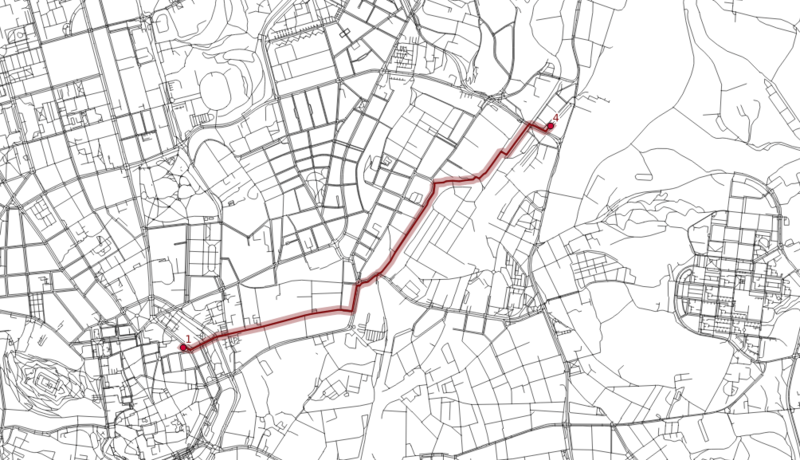 First, you extract nodes from the roads with their values, turn them into the raster grid and either extract contours or polygonize the raster. I find the last step suboptimal and would love to find another way of polygonizing the results. Note when extracting contours the interval has to be set to the reasonable number depending on the nodes values. Once you grasp the basics, GRASS GIS is real fun. Grasping the basics is pretty tough though. Personally, I find GRASS GIS easier to use for the network analysis compared to pgRouting. 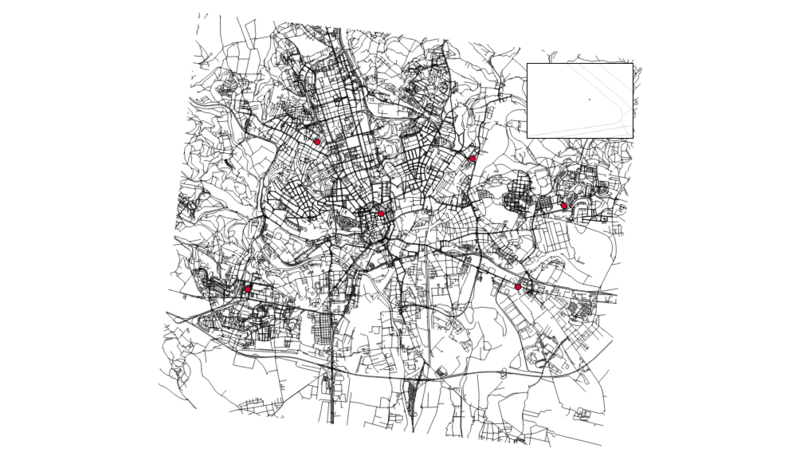 Recently I’ve written about struggling with fairly complex geometries in PostGIS. Lesson learned from the last time was to use more smaller geometries instead of several really huge. You can obtain the small ones from the big by cutting it with a grid. 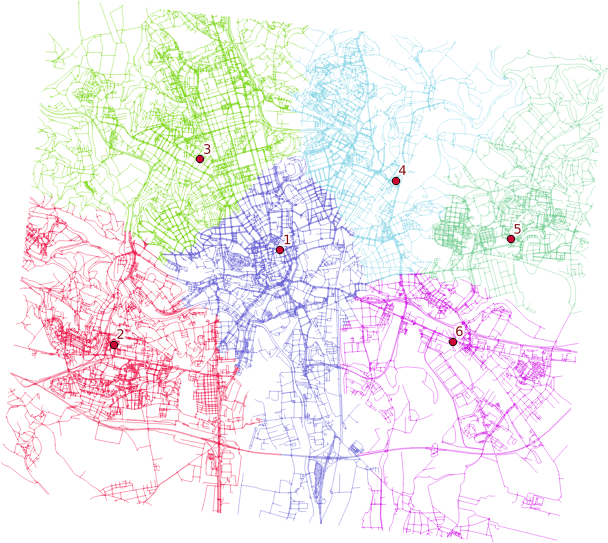 Two of those four are rather problematic with PostGIS: line smoothing and diffing the original geometries (I didn’t get to the last one, so it might be 3 of 4 as well). I haven’t used GRASS for ages and even back then I didn’t get to know it much, but it saved the day for me this time. It is damn fast compared to PostGIS. It can be automated. It can be parametrized. It is robust. It is great! You cannot smooth lines by deleting edges shorter than n in PostGIS. At least I haven’t found the way to do so without defining your own procedure. You can with GRASS. GRASS reduction algorithm always keep first and last node untouched. Thus, if they’re closer than n, they’ll stay even if you’d like to have them deleted. Getting to grips with GRASS attribute data is rather hard after using shapefiles all your GIS life. 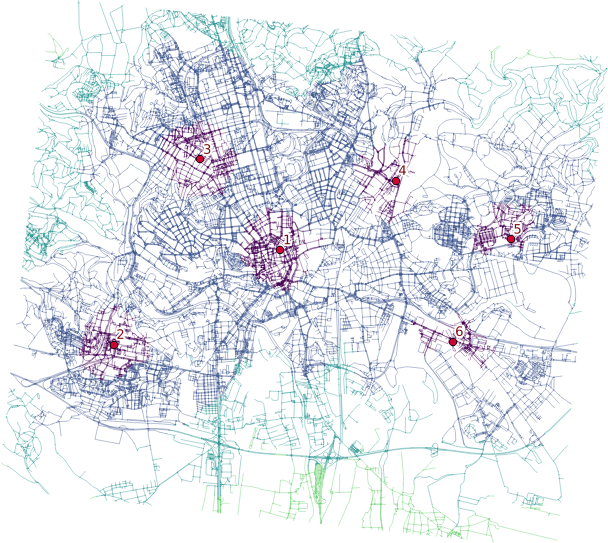 It is great to exploit synergy of different GIS tools used for what they’re best at. The more I work with big data, the more I get used to not seeing them. That’s kind of a twist after crafting maps at university.